If your organization has a TLS certificate signed by a CA and the TLS certificate is located in the Microsoft Windows Certificate store, you can use this certificate for authenticating parties in the Veeam Backup & Replication infrastructure. 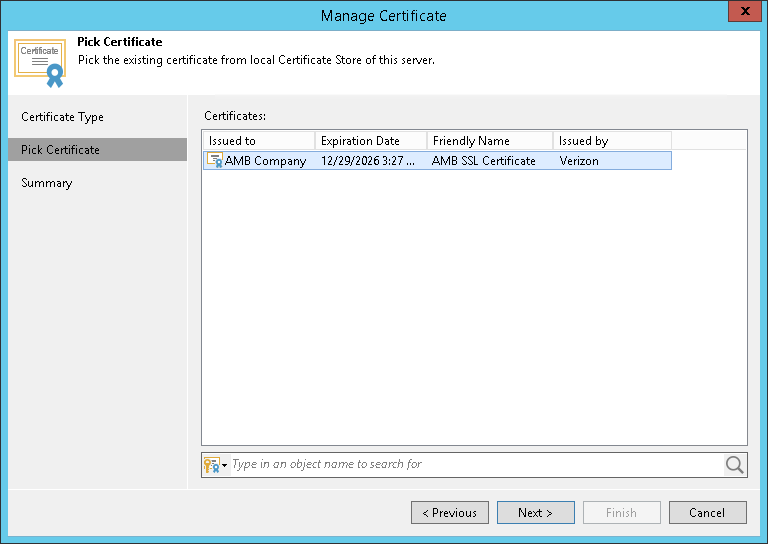 At the Certificate Type step of the wizard, choose Select certificate from the Certificate Store. 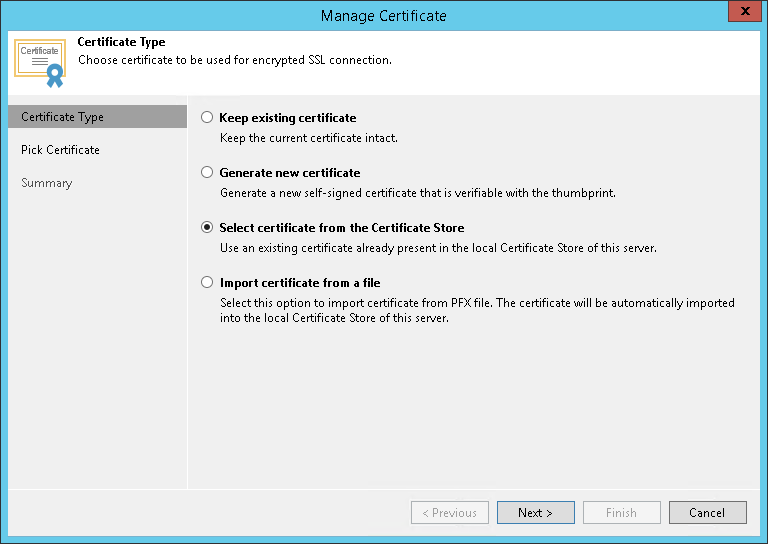 At the Pick Certificate step of the wizard, select a TLS certificate that you want to use. You can select only certificates that contain both a public key and a private key. Certificates without private keys are not displayed in the list. At the Summary step of the wizard, review the certificate properties.